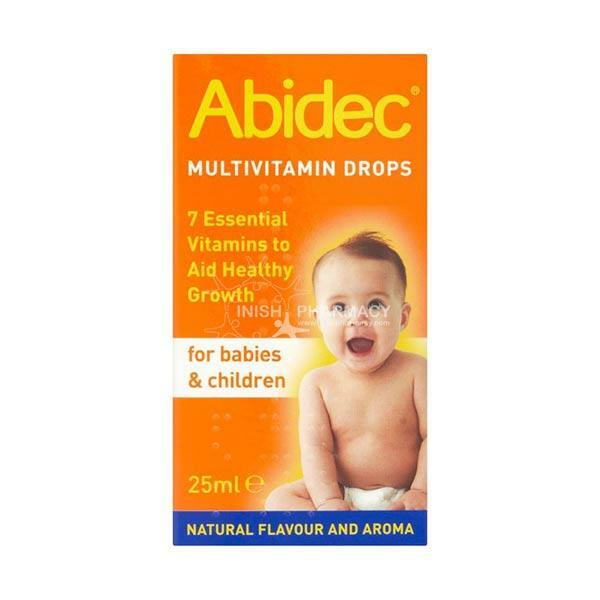 Abidec Multivitamin Drops contain 7 essential vitamins that help aid helathy growth for babies and children. Especially in the child's first two years, children have a high nutritional need and vitamins play an important role in this. Suitable for babies and children. Contains dose syringe. Children under 1 year: Using the syringe provided, give one 0.3ml dose each day. Children aged 1-12 years: Using the syringe provided, give one 0.6ml dose each day.